Scott Nelson | Ruff, Freud, Breems & Nelson Ltd.
Scott concentrates his practice in civil litigation in state and federal trial courts, with a majority of his time devoted to medical malpractice defense. He also represents litigants in commercial lawsuits and appeals. He joined RFBN in 1997, after spending the previous 16 years as a prosecutor in the Cook County State’s Attorney’s Office. 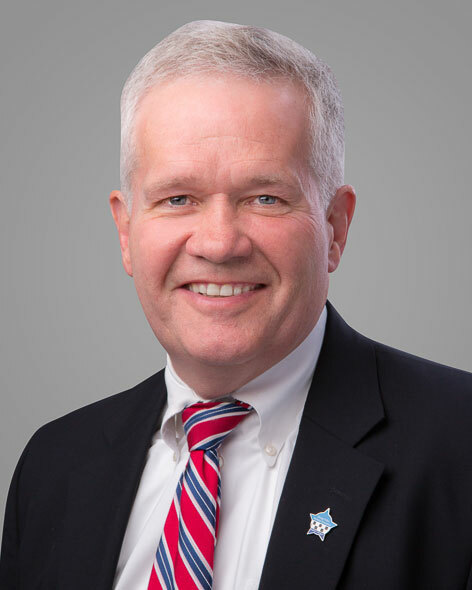 As an Assistant State’s Attorney, Scott was Chief of the Felony Trial Division from 1990 to 1996, where he supervised all felony prosecutions in the nation’s second-largest county, and over 300 ASAs. An active trial attorney since 1981, Scott has tried over 100 cases to jury verdicts. He has also tried hundreds of non-jury trials and contested hearings. In addition to his trial work, he has represented clients in appeals before the Illinois Appellate and Illinois Supreme Courts. Scott’s work as a prosecutor included cases which have been featured on ABC’s “20/20,” and A&E’s “American Justice.” He has appeared on WTTW’s “Chicago Tonight,” and WLS, WGN, WBBM and WBEZ radio. Samples of his trial work have been included in Alfred Julien’s “Opening Statements” (West Group), and Gillis’ “Illinois Trials: Law and Strategy” (Butterworth). His grand jury investigation of the Linares case is discussed in “In Our Defense” by Caroline Kennedy and Ellen Alderman. The successful prosecution of David Biro is featured in the book “My Name is Cain” by Gera-Lind Kolarik. Scott has presented lectures to the National College of District Attorneys, the Illinois Attorney General’s Office, the Chicagoland Chamber of Commerce, the U.S. Navy’s Naval Justice School, Loyola University Chicago’s Stritch School of Medicine, the University of Illinois Chicago, the Illinois State’s Attorney’s Association, the Ohio Prosecuting Attorney’s Association, the Chicago Police Academy, the Illinois State Bar Association, the Chicago Bar Association, the Northwestern University School of Law, and the Association of Government Attorneys in Capital Litigation. He served for several years as a member of the Illinois Supreme Court Committee on Pattern Jury Instructions in Criminal Cases. People v. Montgomery, 192 Ill. 2d 642 (2000). People v. Haines, 174 Ill. 2d 204 (1996). People v. Batchelor, 171 Ill. 2d 367 (1996). People v. Byron, 164 Ill. 2d 279 (1995). People v. Biro, 260 Ill. App. 3d 1012 (1st Dist. 1994). People v. Watson, 257 Ill. App. 3d 915 (1st Dist. 1994). People v. Pecoraro, 144 Ill. 2d 1 (1991). People v. Moore, 199 Ill. App. 3d 747 (1st Dist. 1990). People v. Szabo, 94 Ill. 2d 327 (1983). Scott was born October 22, 1956. A life-long resident of the city of Chicago, he resides with his wife, their son, and two daughters, in the Edison Park neighborhood on the northwest side. In his spare time he coaches youth ice hockey and baseball teams.